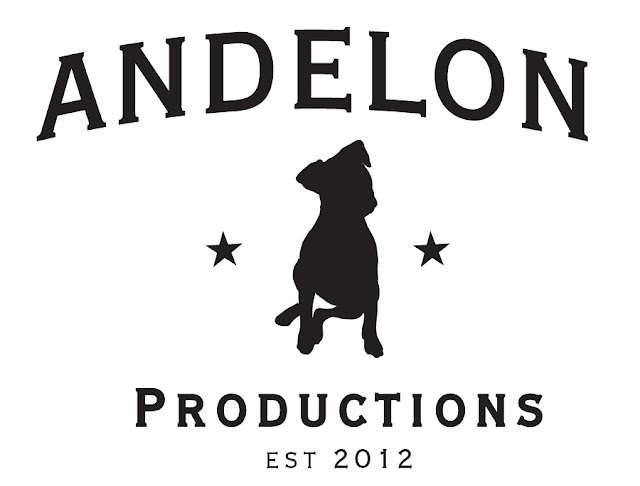 Andelon Productions Logos Go LIVE! As many of you will know I started a production company back 2005 called Wiggy VonSchtick Productions. Wiggy produced Stupid Teenagers Must Die!, a series of web material and got a whole bunch of genre projects started (many still in process) but as a name it does not generate, how you say, respectability. Is it catchy? Yes. Is it “sticky?” Yes. Is it something you want in front of your documentary about plastic surgeons and the patients who have been harmed by them? Not so much. Then Rene came into the picture. She has a long list of ideas for projects that are designed to educate and uplift (a few are being developed right now) and we needed a company to do those things. 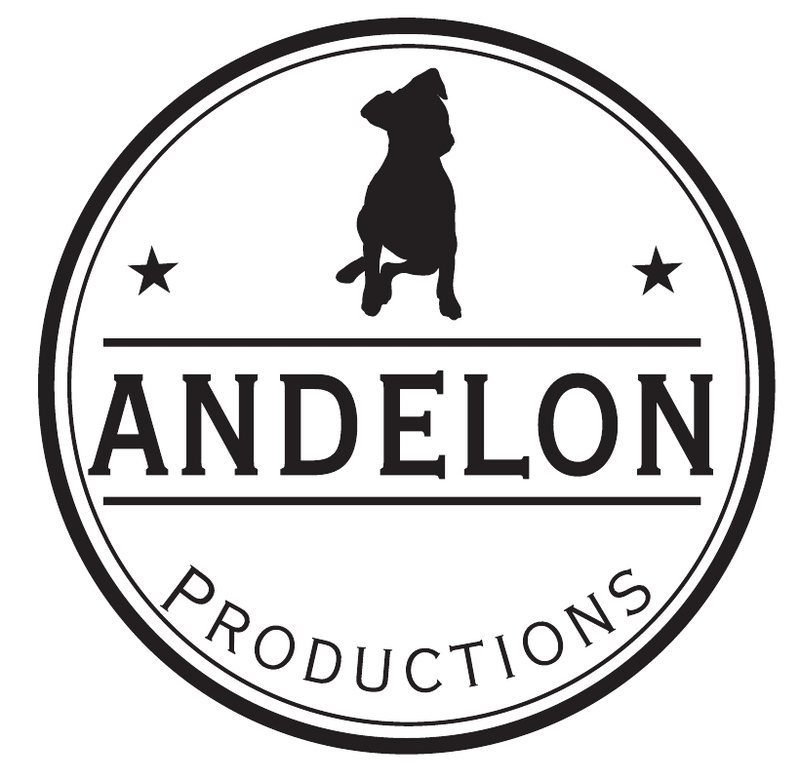 Taking our last names and smashing them together we created Andelon Productions! We’ve actually been working under this umbrella since 2011, but only recently have we gotten serious about our branding and websites and everything else. 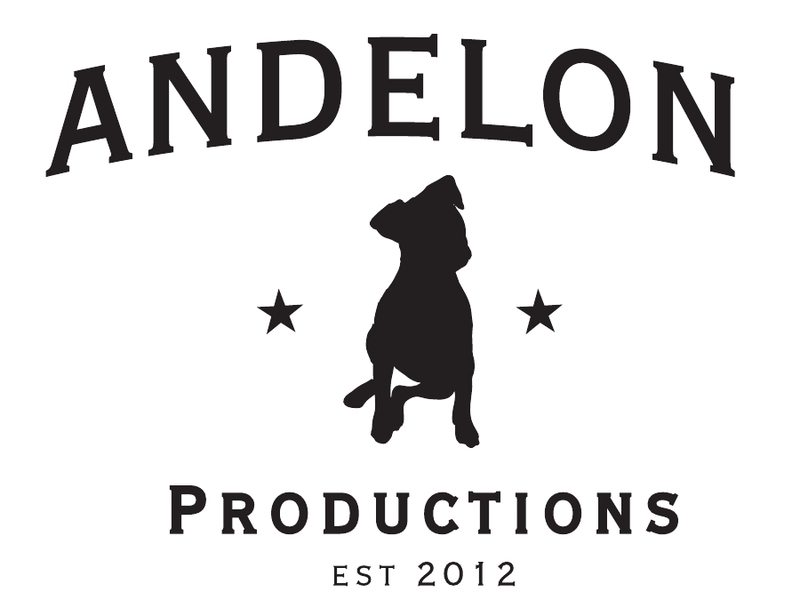 So today I wanted to show off our new logos designed by Karen Halker-Miller! The silhouette is of our dog, Frankie, doing his inquisitive head turn. New website and social media soon – I’m sure I’ll mention it here.